Airtel Sierra Leone on Thursday 3rd May 2012 officially launched its second adopted school in Sierra Leone, the Provincial Islamic Primary school situated at Kondebotihun layout community in Kenema city. The school was founded in 1997 and was rehabilitated by Airtel Sierra Leone between December 2011 and April 2012 and was commissioned by Paramount chief Alhaji Amara Bonya Vangahun on Nongowa chiefdom in Kenema district. 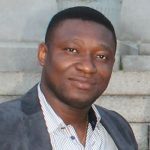 In his statement the former manager Airtel Kenema Abdulai Dizo Kamara disclosed that the school was selected by Airtel as the rural school from the east to benefit from this initiative as a result of its deprived condition such as porous classroom building, lack of adequate school materials, improper toilet and so on. The project manager June Rose Johnson in her statement says Bharti Airtel is the umbrella body and is sponsoring over seven hundred schools in India and in Africa. 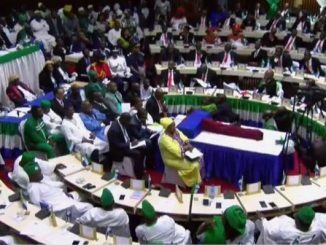 She said such a laudable initiative has been transformed in Sierra Leone so as to compliment the dream of Sierra Leone. Rose says education is the key to success and that similar projects have taken place in Tombo and other places in Sierra Leone and she assured all that they will continue to adopt schools in rural Sierra Leone. She ended by saying that Airtel takes people from nothing to something. The Mayor of Kenema City Council Chief Brima Kargbo expressed his happiness about what Airtel has done for the Kondebotihun layout community. 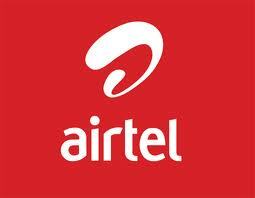 He then crowned the Managing Director of Airtel in Sierra Leone as the town chief of Kondebotihun layout community. He appealed to Airtel to do something about the roundabouts in the city as the streets are getting more tar. Delivering his statement the Airtel Managing Director Rvs Bhullar said in this age of globalization, education and skills will play a critical role in contributing towards inclusive growth and development in 3rd World countries. 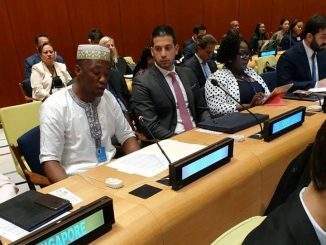 He added that it is therefore imperative for them at Airtel Sierra Leone to make quality education available to children in rural parts of Sierra Leone. Just a little over a year ago at the launch of REC Primary school Tombo, he said he pledged that Airtel under its corporate social responsibility initiative will continue to adopt schools in rural Sierra Leone. Therefore, as a next step towards fulfilling the vision of this Government and the leadership of this country, today we see that manifesting as we are here in Kenema at the second school adoption. The Managing Director disclosed that Airtel aims to set up village-based schools, which will deliver high quality education to the poorest of children in the farthest of villages in Sierra Leone. Airtel schools are primary level schools that are being set up with the guiding philosophy, to create temples of learning, radiating knowledge and excellence for underprivileged children. He says they at Airtel intend to provide education that empowers a child to start his or her journey as an explorer and realize his or her potential, thereby leading a successful life. 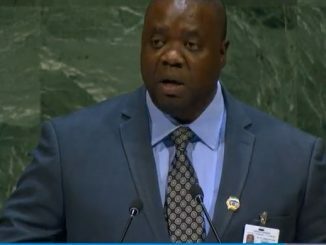 He said for Sierra Leone to become a true leader in the coming years, we will need each one of us to contribute towards its development and growth. He called on all to come together to build a future where each individual or our country has the opportunity, knowledge and skills to achieve his or her true potential. The Managing Director then handed over a cheque worth twenty five million Leones (Le25,000,000.00) to one Abubakarr Kargbo of 17 Combema road in Kenema city on telephone number 076231779 who is the proud winner of the SMS trivia (4040). In his keynote address the Paramount Chief of Nongowa chiefdom Alhaji Amara Bonya Vangahun thanked all and sundry for gracing the occasion especially Airtel for prioritizing education in his chiefdom. He said education is for all and not for an individual but is a key to the world. He called on parents and guardians to encourage their children and if in position to force them to learn. He called on Airtel to continue their good work not only in Kenema district but the entire eastern region and the country as a whole. PC Vangahun said he wants development for his chiefdom adding the foundation for development is education. 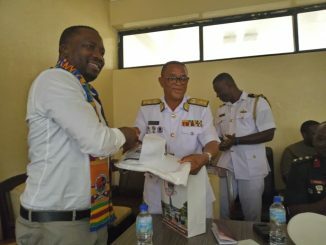 He says the Managing Director crowned as town chief of Kondebotihun layout means he is a strong pillar under him as Paramount chief of Nongowa chiefdom meaning his grand father played a role in creating the community and urged him not to forget about his community and Kenema city at all time.